Known to Amazon locals as "puro milagro", or "the pure miracle", this 100% undiluted organic and moisturizing maracuja oil quickly absorbs for firmer, brighter, smoother skin. Pure maracuja oil is rich in vitamin C, so skin appears instantly brighter and more radiant, as well as essential fatty acids (EFAs), a requirement for healthy skin cells that the body cannot produce on its own. EFA deficiency can result in the breakdown of essential skin cells which causes skin to appear dry and aged. By supplementing skin with pure maracuja oil, you are infusing life back into dull skin and replenishing EFAs to rapidly rebuild and repair. This potent anti-aging elixir that has anti-inflammatory benefits promotes active skin recovery and delivers maximum hydration without any greasy or filmy feel. 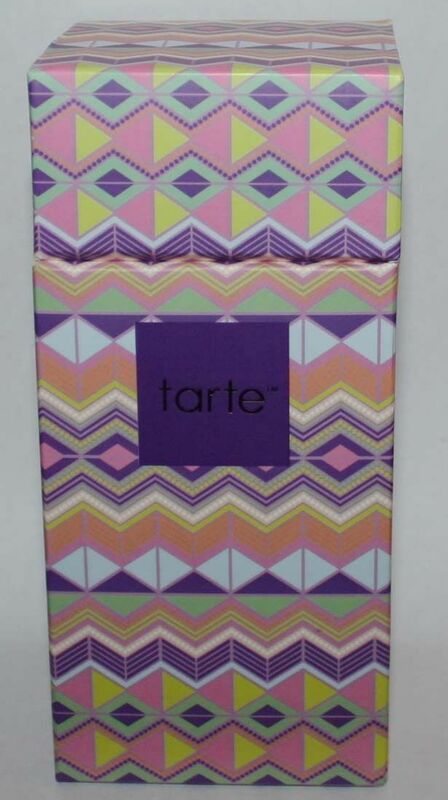 The recyclable glass bottle and sustainable bamboo cap is decadent in color but not in waste, embodying Tarte's "be green, be smart, be Tarte" packaging philosophy. Fun fact: Each bottle of pure maracuja oil contains 45 maracuja superfruits! Dry skin: The ultra-hydrating oil moisturizes skin, while EFAs rebuild and repair dry skin. Oily skin: The instant absorption assures maximum hydration without any greasy or filmy feel. It actually counteracts skin's natural oils. Dull skin: Rich in vitamin C, so skin appears instantly brighter and more radiant. EFAs, a requirement for healthy skin cells that the body can't reproduce help infuse life back into skin. Sensitive/Acne-prone/Redness/Rosacea: It's loaded with antioxidants to help soothe and heal skin. Using oil will not cause breakouts. 96% of women subjects saw an overall visible improvement in skin. 91% of women saw a reduction in fine lines and wrinkles. 94% of women saw a visible improvement in skin texture. 94% of women agree thought skin appeared renewed and rejuvenated. Directions: Just like a serum, dispense a half drop for the face in the evening. Pure maracuja oil can also be used on body and hair.